Everyone here is dedicated to your well-being, and we make that clear from the moment you enter. 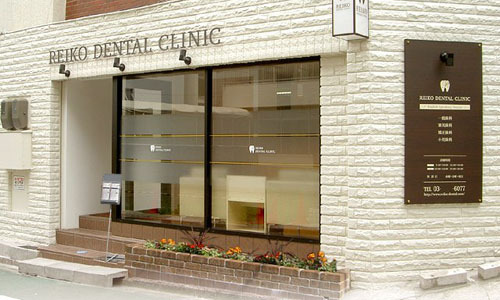 We provide you with the best treatment options available, all administered by highly trained dentist, Dr. Makabe, and staff who listen to your unique concerns and respond to your needs, giving you the most painless, quick and easy treatment possible. Whether you are looking for cosmetic dentistry or treatment for a chronic condition, our staff works hard to make sure you are comfortable and healthy. It is important to do a check­up to keep a healthy oral condition after a basic treatment is done. We recommend every 3 months visit for a regular check­up and cleaning since a layer of bacteria starts to build up around this time. We offer you our original cleaning program called PMTC that makes a further prevention of a cavity and gum trouble. Complete teeth cleaning by specialists leads you to have a healthy oral environment as well as a healthy physical condition by eating happily. Check your gum condition and a degree of gum problems by examining gum pockets between teeth and gum. Actual coloration of dental plaque by using special liquid enables you to see how much plaque is still left. “Blue” means plague of over 24 hours and “Red” means it of less than 24 hours. By using electrolized water and a special ultra sonic apparatus, we take care of your tar-tar and active dental plaque. Electrolized water is non chemical and kills oral bacteria and disinfects surroundings. It is effective for cavity and gum disease prevention. We completely remove a biofilm (a layer of bacteria) and stubborn stain by using very fine powder of∮54㎛ and a jet-spray apparatus. Small scratches on tooth enamel allows dental plaque and stain to adhere easily. Nano-level paste of Hydroxyapatite repairs and smooths out tooth enamel by ionization and recalcification. There is a reason for every 3 months PMTC. A biofilm starts to be formed about 3 months after cleaning. It is evidenced scientifically. PMTC leads you to have a healthy life.